How often do you mask? I ENJOY DOING MASKS. But I try to do them at least once every week, twice if I feel like my skin needs a little bit more nourishing. Thrice if I'm feeling a little more fanciii. 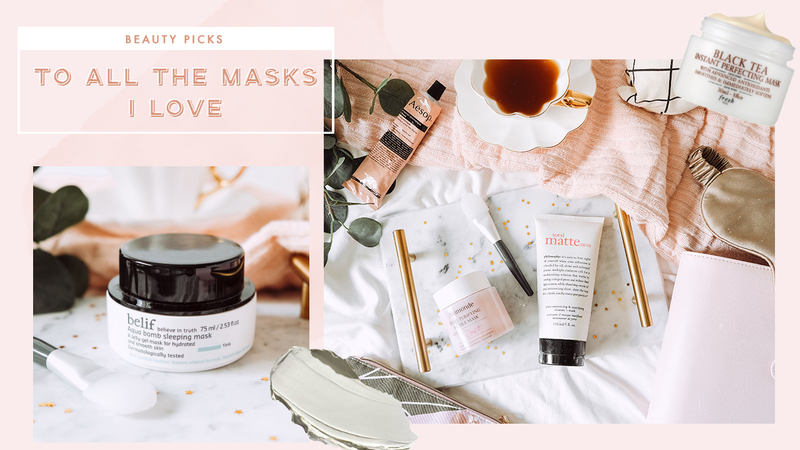 It wasn't difficult to pull together a few of my favourite masks, whether it's a clay mask, wash-off mask, or overnight mask, I hope there's something for everyone to try. It's a bloody hot day, what do you do? Just slather on Fresh's Black Tea Instant Perfecting Mask, you're welcome! This mask has a light tea fragrance and is so soft to the touch! But wait, that's not even the best part. Once on your skin, the mask has an almost immediate cooling effect - I suppose to help tighten and firm up the pores. After 10 minutes, my skin looks and feels more supple, velvety and where did the pores go??? I don't know. Brb, I'm going to put this mask on after I'm done with this blog post. The Body Shop Drops of Youth Bouncy Sleeping Mask works wonders on your skin while you sleep. Supposedly formulated to address the first signs of ageing, I think anyone in their mid-twenties can and should have this! Usually after using this mask, the fine lines on my forehead disappear and makeup goes on the face so much smoother. 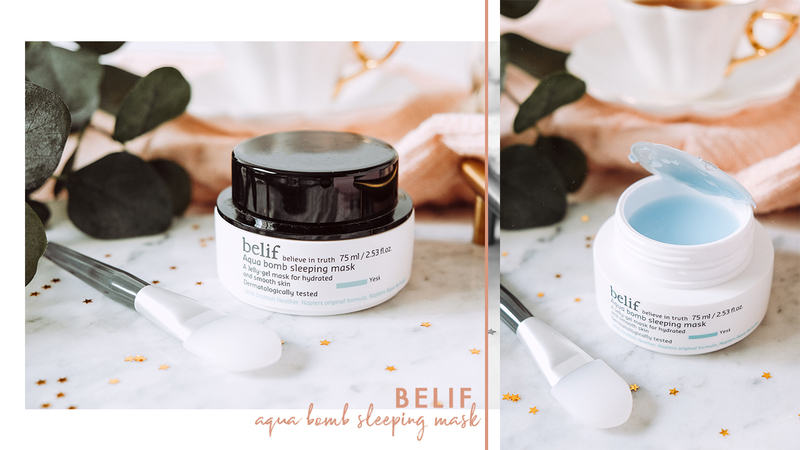 The Belif Aqua Bomb Sleeping Mask also works it's magic as you're fast asleep. The first time I tried it, I couldn't stop poking the mask because of it's bouncy jelly-like texture. A thin layer is enough to help restore dry skin with the hydration it lacks. You really don't feel anything on your skin at all, and it also doesn't transfer to your pillow. Origins recently launched the re-formulated Drink Up Intensive Overnight Mask, infused with Swiss Glacier Water to treat thirsty skin to longer lasting nourishment and hydration. I'm a big fan of both the old and new formula, because my skin just absorbs it so well. Has a light refreshing fragrance to it that I don't mind at all. I love all my sleeping masks equally, and cannot do without them so I use them in rotation. Out of these 3, the Origins' mask is definitely much easier to bring around as it's in a tube rather than a tub. If you're travelling to somewhere with a dryer climate, you can consider packing one of this in your bag! 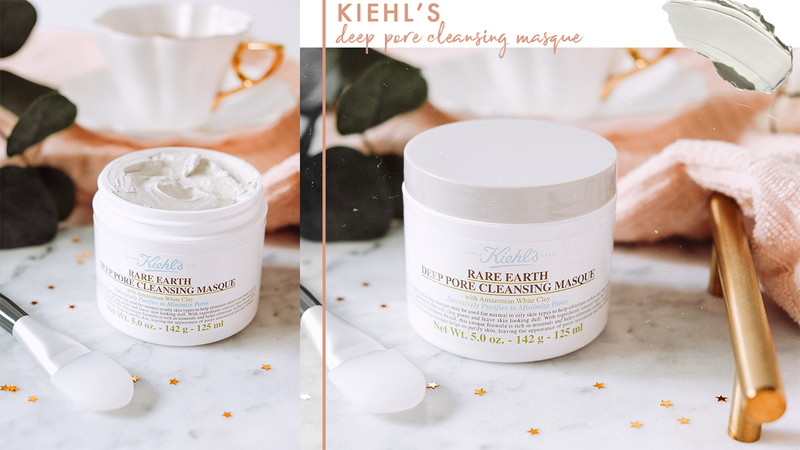 Kiehl's Rare Earth Deep Pore Cleansing Masque is a new favourite of mine and my first ever Kiehl's product. All I did was try on a sample, and immediately knew I had to add it to cart! This clay mask is perfect for anyone with oily skin, as it helps draw out and unclog pores - trust me. Now, I make it a point to apply this every week. Mamonde Petal Purifying Bubble Mask is a rose-scented, chiffon-textured clay mask that gives you a brighter radiant skin within a minute. As soon as the creamy mask is applied, micro-bubbles start to form. You can hear and feel the bubbles forming on your skin, before drying down into a clay texture. I noticed a difference immediately after just one use! My complexion usually looks more clear and radiant after, as the bubbles help to draw out and purify any impurities in the skin. Philosophy's Total Matteness is a 2-in-1 pore minimising and mattifying cleanser + mask. I've saved this for last because it apparently has been discontinued, but I think it's still worth a mention and if one day it makes a come back you know you have to get it! I usually go for this mask if I want my pores minimised and lifted, firmer skin. You also get so much product for the price, I really hope they'll bring it back some day. That's all of the masks I'm currently loving! Thank you for swinging by, is there any masks that you have tried and enjoyed? Let me know in the comments below! May this also mean that I'll be back to blogging regularly. Oh, I forgot to mention, all the photos in this post were taken by my new Fujifilm X-T30 and I love the quality so much!